Looking for that special plant or a frame for that jigsaw puzzle? There's always someone to help. Hate cooking? Let OneCook handle dinner for you. 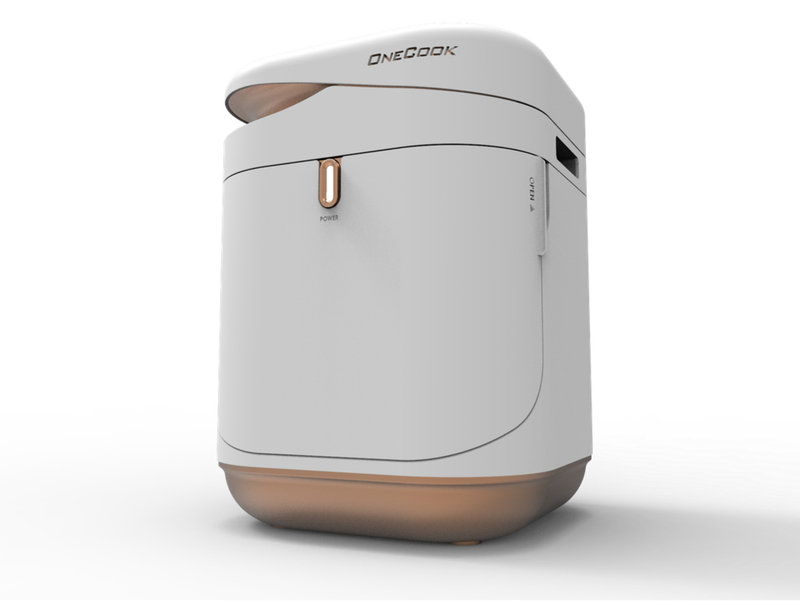 OneCook looks like a conventional rice cooker, but it's actually Wi-Fi-enabled with removable interior compartments that have each been fitted with RFID sensors. And it cooks much more than rice. As Mashable reveals, it can churn out a variety of dishes, including a punchy Kung Pao chicken. OneCook comes with a set of recipes – everything from tomato pasta to cumin beef to green curry – which you can program into the machine using the app. You then load up the compartments with the different ingredients (one ingredient per compartment) and wait for your meal to be ready. The machine will automatically adjust the temperature and time depending on when you want to eat. Dinner can be ready in just five minutes! The cooker is expected to ship in August, but you can claim one now via their Kickstarter page. After a long day at the office, you can't always find the motivation to cook for yourself. Thankfully, London-based company Moley Robitics has come up with an alternative to takeout and ready meals that's just as easy, and so much healthier. The 'robo chef' – sadly still a prototype – captures the human movement involved in preparing a meal, then recreates it with its sophisticated set of robot hands. (The humanoid appendages use 20 motors, 24 joints and 129 sensors for ease and accuracy of movement when stirring, trussing, drizzling and garnishing.) The product is at least a year away from launch – the company hopes to make it more compact, while adding a built-in refrigerator and dishwasher – but it is a glimpse into the future. A future in which you happen to have a spare $20,000, that is. Find yourself phoning mum for pointers every time you enter the kitchen? This "smart" frying pan uses a built-in temperature gauge, Bluetooth, and an iOS- and Android-compatible app to help guide you gently in the cooking department. The Pantelligent provides real-time feedback on the surface temperature of food so that you can adjust your burner accordingly. Look forward to perfectly seared steak every time! If you're a true struggler in the kitchen – despite push notifications telling you exactly when to adjust the stovetop settings – there's even an Autopilot function that makes cooking a completely hands-off experience. (That is, if you have a countertop electric burner and the compatible switch accessory.) The Pantelligent controls the temperature, you just need to step in to flip, stir and serve. 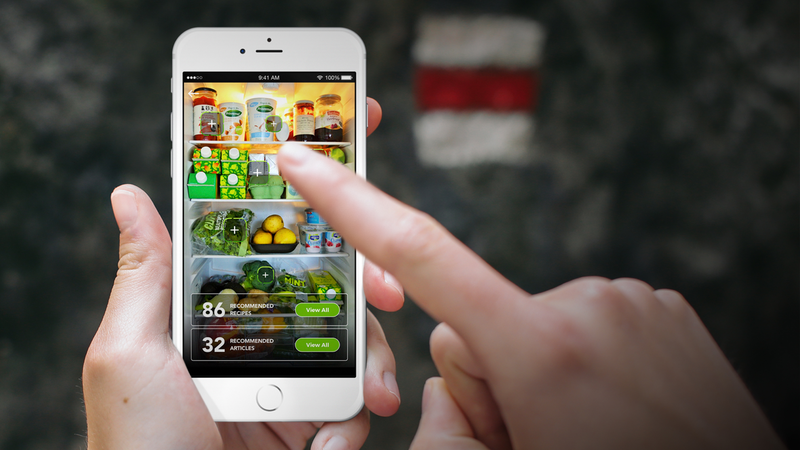 Innit is a start-up that wants to smarten up your kitchen. You've heard of Wi-Fi-enabled ovens (thanks Whirlpool) and fridges with in-built cameras (kudos Samsung), but Innit is finding a way for them to connect to one another. The sensor-based technology helps you at every step of the cooking journey. First, using cameras and sensors, Innit employs facial recognition-like technology to food, telling you via an app when produce will expire and how best to cook it based on how old it is. Alongside that information, it provides a list of related recipes to help you plan dinner, after scanning items in your fridge. Once you find a recipe that you like, tap it to find step-by-step instructions on how to cook it. When you have it synced up with other 'smart' devices, you're able to set cooking times at the swipe of an app. Again, the technology is just in the prototype stage, but Innit is hoping to connect with big kitchen manufacturers in the not-too-distant future. The first Innit-compatible products, in fact, are set to become available in 2017.